Welcome to our Logitech G29 review and comparison to the G27. For this review we tried it again on the PS4 as well as a ton of titles on the PC. First we’re going to discuss general differences between the G27 and G29. All of the buttons and the directional pad are on the G29 wheel where as the G27 has the directional pad and 8 buttons on the separate shifter plus six buttons on the rim. 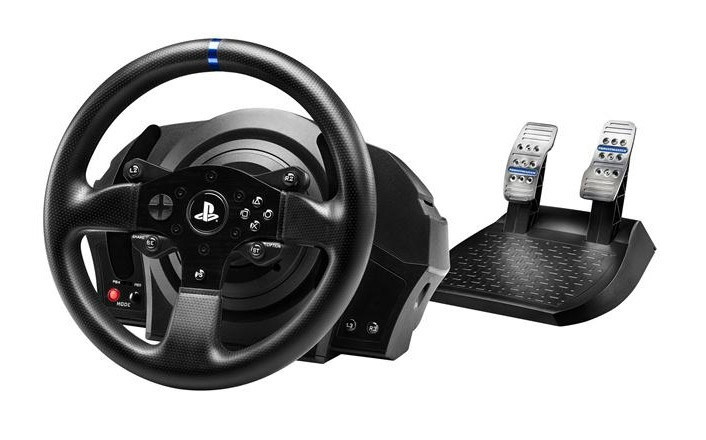 The G29 also adds the Driving Force GT style dial as well as the plus / minus buttons. Overall the look of the wheel is a little more toy like compared to the g27 with the plastic bits, is has blue and black colored metal. We don’t think they succeeded in making it look more high end. 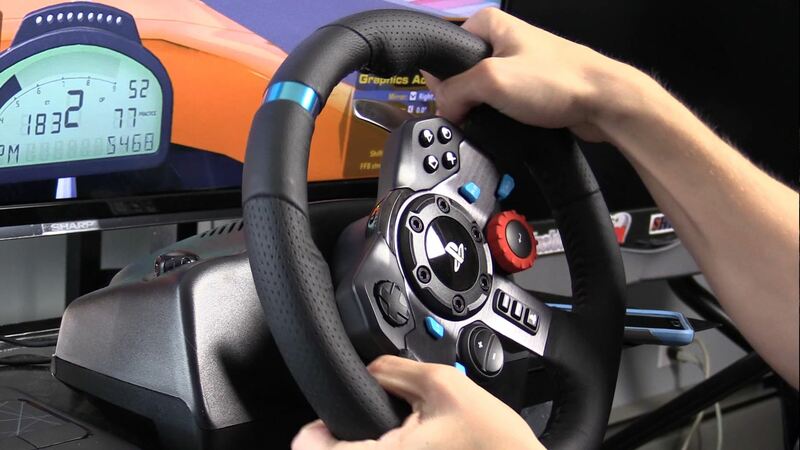 The paddle shifters on the G29 have about 1/4 inch shorter throw and have a little more dampening. The G29 throw is about 1/4 inch where the G27 is about 1/2 inch. They feel better, more dampened, less clang, more click. 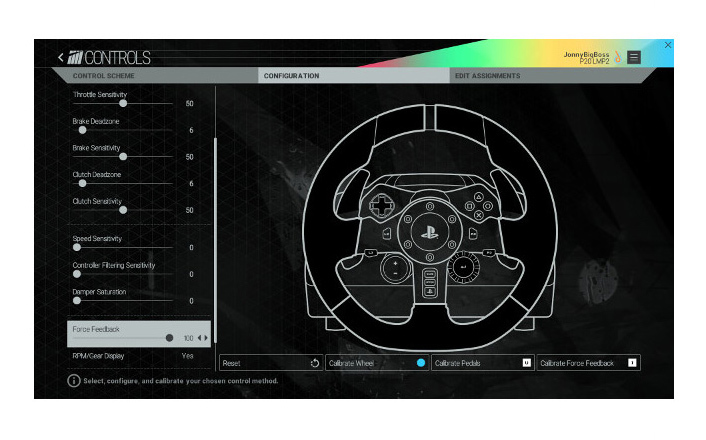 The driver profiler no longer has sliders to adjust Force Feedback, Spring, Dampening, etc. 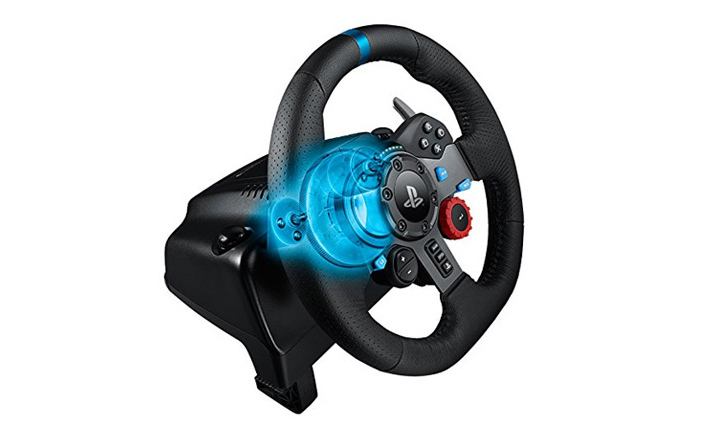 We tried to load the older G27 driver and boot it as a PS3 wheel and it didn’t work. 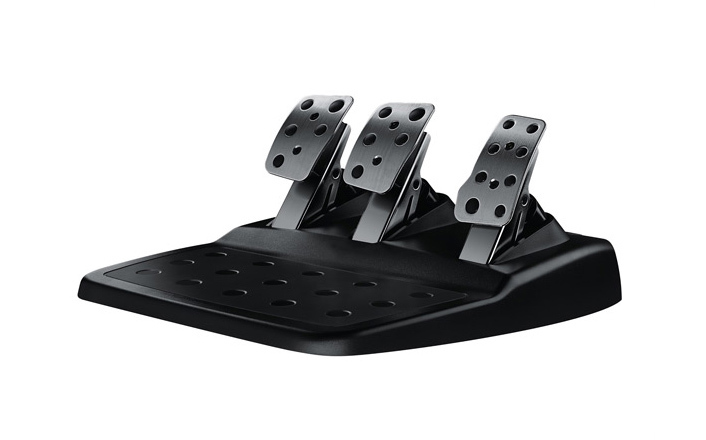 We tried to get the G27 adjustability in PS3 mode but it didn’t work. The new Logitech Gaming software comes with an Assetto Corsa preset yet the drop and drag system doesn’t seem to work and or apply settings. When we installed the G27 to compare, the Logitech support page says to use Logitech G software with the G27 and it’s not recognized in that software. It does load a driver though as you are able to run it with iRacing. But you lose all adjust-ability, even degrees of rotation and have to use the default 200. We went back and loaded the last Logitech driver which by the way, if you need it, we have it HERE in our forums to get that functionality back. The G29 has a D Shaped rim and the G27 is round and they’re both the same diameter. They both have the same leather wrap as well as the same shifter / rev lights. 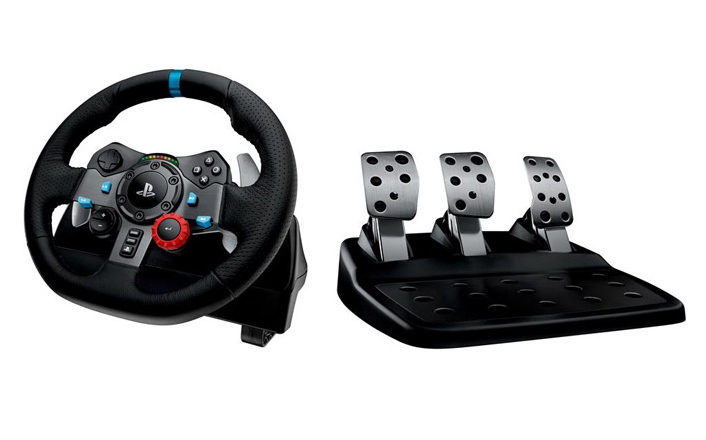 The G27 has full functionality on the PS3 while the G29 operates like a DFGT while in PS3 mode. The G27 doesn’t work on the PS4 and the G29 has full functionality. Both have full functionality on the PC. Here are the things that are identical on G27 and G29. We were hoping the resolution on the pedals would be higher on the G29. They offer the same 256 steps or 8 bit resolution that the G27 offers. 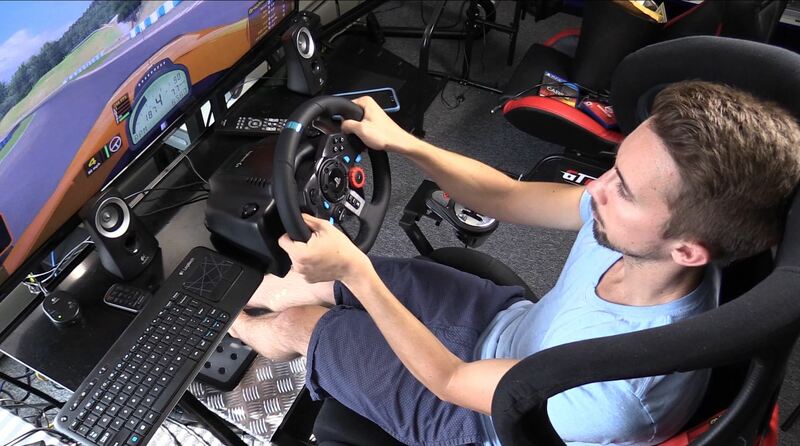 The G27 shifter worked with the G29 on both the PS4 and PC. However it did not work on the PS3. Both wheels have a gear drive (more on how it performed later). Same hard mount spots on the wheel and pedals and we mounted it to the Next Level GT Ultimate racing chassis. Now onto performance and how it compared to the G27. We used the iRacing Star Mazda at Okyama as our test bed. First we ran the G29 and set the force feedback as high as we could without it clipping too much. We tried linear and non linear and non linear seem to have a little more road feel. After doing some reading, it seems non-linear is best for a wheel of this caliber. We suggest that you try both for extended periods of time, and see which one you like best. Since in neither situation you’ll get a real mapping with that wheel like you would with a direct drive wheel like the Accuforce, you have to tune it to your likeness. We then went to the G27 with default settings after loading the old G27 driver and ran with the default G27 profile settings and it felt a little rough. Too much dampening and center spring effect. We then put in community recommended settings and it felt pretty much identical to the G29. It seems like the G29 is setup with the community settings out of the box by default which is a good thing since you can’t adjust it to your preference. The shift lights on the G29 don’t work yet with iRacing but should in the next build coming soon. 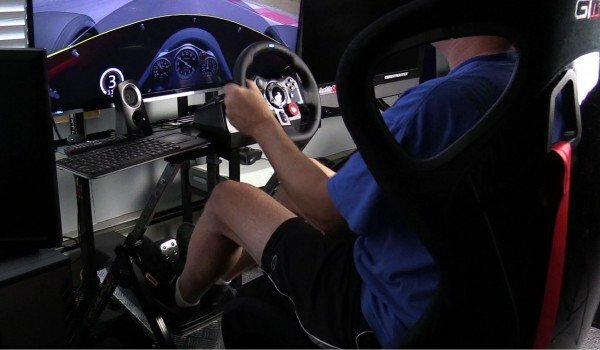 Matter of fact the shift lights only worked with Project Cars on the PC. On the PS4, all titles seems to light them up. While on the subject of the PS4, we went back to F1 2015 and Project Cars and the brake issue with it being too sensitive still hasn’t been fixed for F12 2015. Matter of fact I think it’s worse now. There’s a work around though and you can map the clutch as the brake for now. On Project Cars it worked fine once you dialed in all of the 50 FFB sliders. Default did feel pretty good though. Someone asked us during our live show if The Crew was compatible on the PS4 and it’s not. We tried it and we couldn’t even get the game to launch. 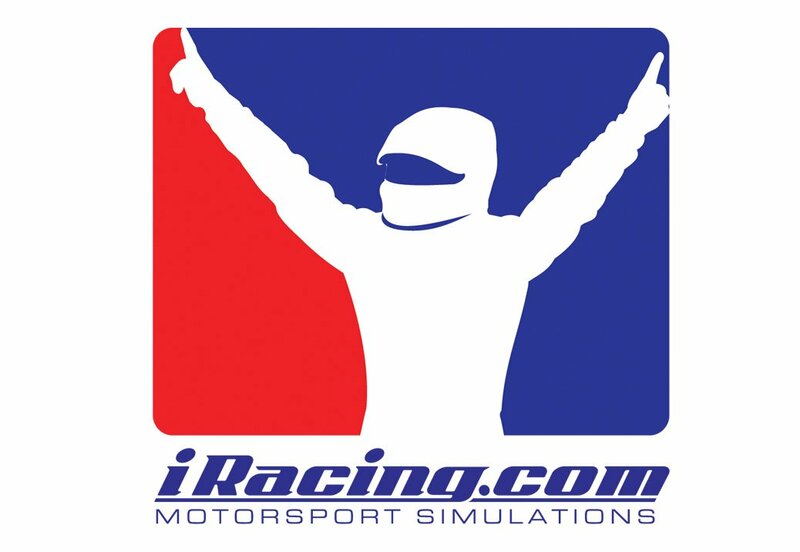 On top of iRacing on the PC we also tried it with Assetto Corsa, Dirt Rally, F1 2015, and Project Cars. Assetto Corsa didn’t have a default G29 profile so we used G27 for base. We were able to tune out the wheel vibration at high speed but the clanking of the gears at onset of ABS is rough. Dirt Rally we had to use “Direct Input” as there wasn’t a preset G29 profile either. The clutch was not supported as an axis. We maxed out all FFB sliders and it felt pretty good. We liked the resistance at 150% settings but the wheel chatters a lot. We then turned down some of the settings and it felt even better but still very loud and not smooth, harsh bangs on the cogs of the gears. 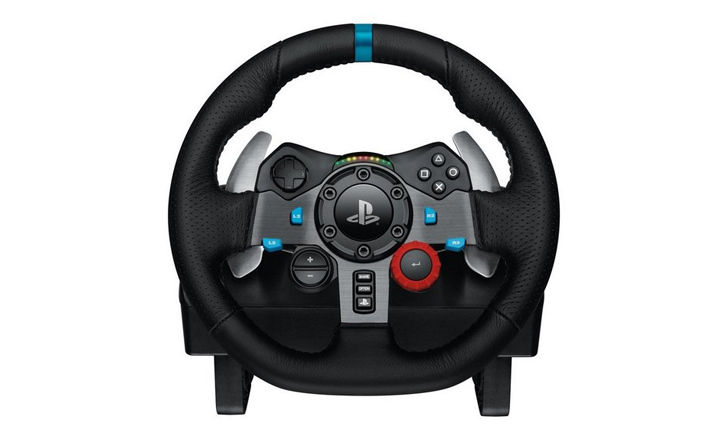 For F1 2015 it was nice having buttons to navigate this game specifically but the Dpad is sloppy. Inputing a different direction than what we were pressing some times . Default G29 setup causes brakes to lock up even though it was mapped properly. Went into “custom” mode, remapped and worked fine. We got wheel dialed in and overall wasn’t bad and had strong enough ffb. Again, rattle city, this time when going over rumble strips. Rumble good, rattle bad. It also had a wide FFB dead zone. Project Cars – Shift Lights worked.. Default felt pretty good. It felt better on the PC versus the PS4. PS4 felt like there was some input lag but that has nothing to do with the wheel. After messing with some of the many settings, we got it to feel better. John: Overall – feels like a g27. Maybe a bit smoother but may be placebo effect. Still very much feels the gears, making it archaic feeling compared to other modern wheels. Darin: The community in general seems pretty upset with the direction Logitech went with the G29. Not sure why they didn’t work with the developers to make the G27 and DFGT compatible with titles on the PS4 like Thrustmaster and Fanatec did. Sure some of the wheels don’t work in the PS4 menus and they don’t have a share button, but the wheels work in game which is the most important aspect.